After spending 48 hours testing 9 of the most popular sound cards, we finally concluded that the ASUS Xonar Essence STX II is still the best sound card for gaming this 2019. 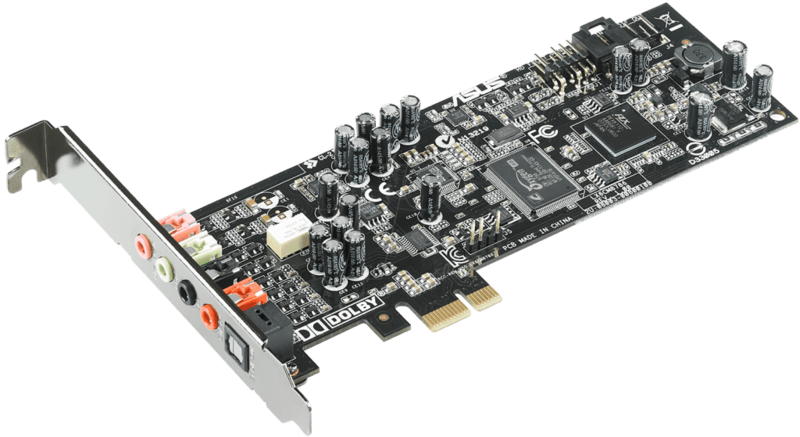 This is a 7.1 channel sound card that’s perfect for audiophiles out there. Among the sound cards we tested, this is by far the best, and if you’re not sold with the 124dB sound to noise ratio, its own heatsink will. Yes, this has its own heatsink. Learn more about this premium sound card below. Last but not least, the Xonar DX offers some of the best SNR and Sample Rate you can get out of a soundcard. However, it’s also...$100. Ouch. That price range does hurt, but what does it offer in turn? Well...just look at the list of Pros, honestly. Not to break the fourth wall in my own article, but the Xonar DX is a really fully-featured soundcard that offers just about everything a gamer or audio enthusiast would want out of a soundcard. Honestly, it’s our top pick for a reason. The only real problem we can raise with it is its price- because, jesus, $100 for a sound card? That’s one expensive sound setup! But if you’re passionate about your listening experience, whether in or out of game, the Xonar DX should offer you the best-possible audio experience. That makes the ASUS Xonar DX the best soundcard for gaming. 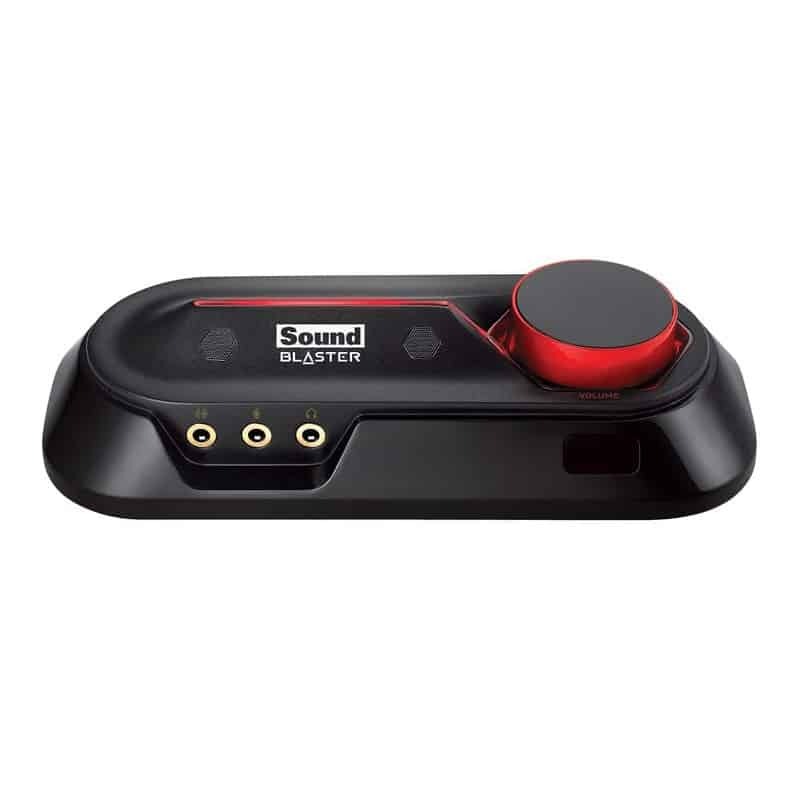 Of the external sound cards out there, I found the Creative Sound Blaster Omni to be the most impressive of them. This is mainly due to its multitude of features. 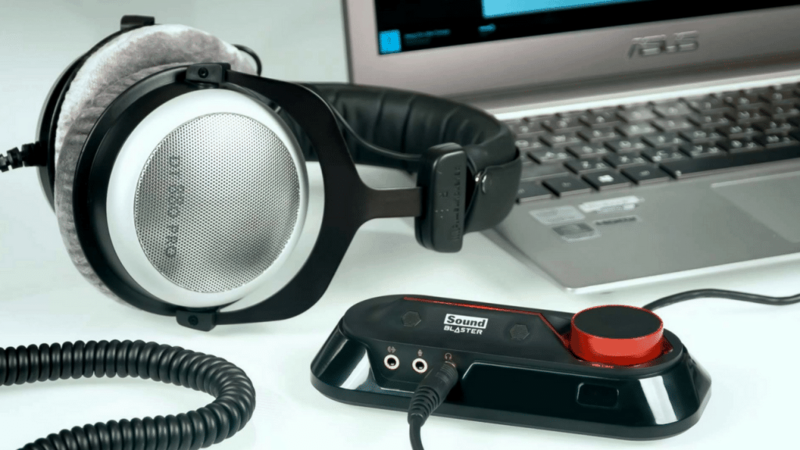 By bundling a headphone amp, Dolby Digital Support, a software suite for controlling your audio, and a gaming-optimized Scout Mode, the Omni far surpasses your garden variety external sound card thanks to all of the features it has on offer. In addition to those features, it offers a pretty respectable SNR and sample rate...for an external solution. Compared to internal solutions, however, it unfortunately falls short. Additionally, the price of $80 for an external sound card probably raises more than a few eyebrows for our audience. It’s important to be very sure about a purchase like this, so be sure to finish our article before making your selection! The ASUS Xonar DX is a midrange internal soundcard, and provides a generally great audio experience. First and foremost, it supports 7.1 surround sound, which is perfect for high-end headphones and home theater audio setups. Secondly, it significantly boosts Sample Rate and SNR over cheaper sound cards. This means a clearer, higher-quality listening experience overall. However, where it suffers is in a lack of portability and extra features. It’s strange to move up in price and lose some features, but that’s what the Xonar DSX seems to do. In exchange for the bumps in SNR and 7.1 surround sound, the Xonar DSX sacrifices Dolby Headphone support and a Headphone Amp. This is a pretty big downer for headphone users, making this more suitable for home theater setups than gamers. For gamers, it still does offer GX 2.5, but the loss in headphone features will hurt gamers used to using headphones in their games. The ASUS Xonar DGX is the best budget option on this list, thanks to its great sample rate, good SNR and large number of extra features. First and foremost, it has a built-in headphone amp to bring out the fullest potential in your headphones. It also supports Dolby Surround for your headphones, allowing improved spatial awareness in games. Speaking of spatial awareness in games, GX 2.5 is included too. This improves and enhances in-game audio, especially for enhancing your awareness of your surroundings in-game. The only real downside of this one is part of its nature as an internal soundcard: you can’t take it anywhere you want to go. It’s also a bit weaker overall than other options, but its included extra features alleviate this somewhat. 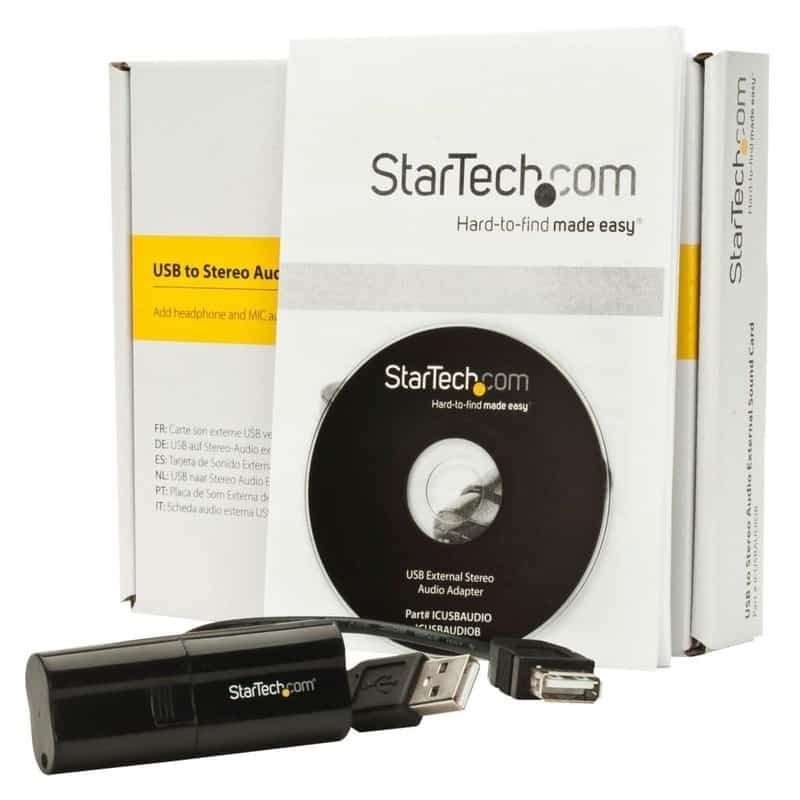 The StarTech USB Audio Adapter is a pretty basic external sound card available for a budget price. At only $30, it’s probably a better audio experience than your laptop’s onboard audio. Unfortunately, unless you’re dealing with crappy laptop audio or your internal sound is broken altogether, we find ourselves pretty hard-pressed to recommend this one. That’s because it doesn’t have a lot of extra features to incentivize the purchase: it’s a basic external soundcard that isn’t quite as good as internal options. 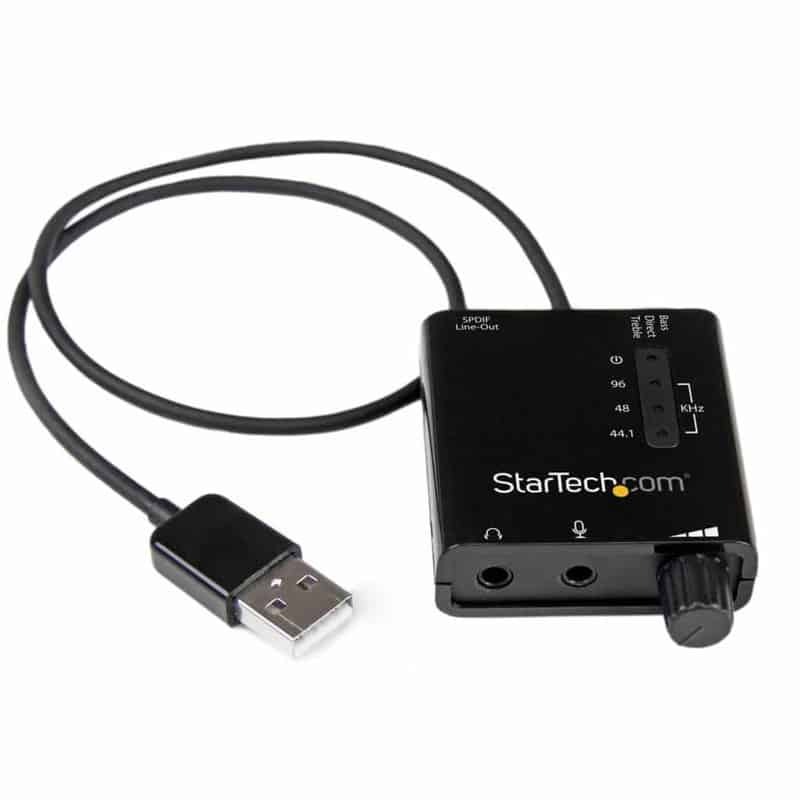 If you’re using a laptop or replacing broken onboard broken audio on a budget, the StarTech USB Audio Adapter may be what you’re looking for. But if you want to enhance your gaming experience in any meaningful way, you may want to keep looking.